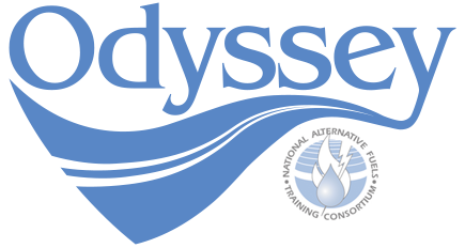 Event Highlights: Quinsigamond Community College Automotive College celebrated Odyssey 2014 by inviting 100 high school students to visit the campus and gain a better understanding of alternative fuels, hybrid vehicles and the environment. Quinsigamond Community College Automotive students also studied battery technologies as part of their classwork that day. Event Highlights: This year, the Quinsigamond Community College (QCC) in Worcester, Massachusetts celebrated their first Odyssey event. The event was opened to students at Burncoat High School and in the QCC automotive technology program. 100 students attended the Odyssey event, which featured three talks on the Toyota Prius from a company representative. The speaker stressed the fact that alternative vehicles—like the Prius—save energy and lower the carbon footprint. In addition to showcasing information about the Prius, Quinsigamond Community College’s Odyssey event featured displays from the Worcester Regional Transit Authority, which showed off an alternative fuel transit bus. KIA and BMW representatives also presented information on their low-emission vehicles.